KOLKATA: Eminent singer Sabita Chowdhury, widow of legendary composer Salil Chowdhury, died at her residence here on Thursday after a five-month battle with cancer, family sources said. Chowdhury, 72, leaves behind two sons and two daughters. In January, she was detected with cancer of lungs and thyroid. Married to one of the greatest geniuses of Indian music, Sabita Chowdhury made a deep impression as a singer in her own right. 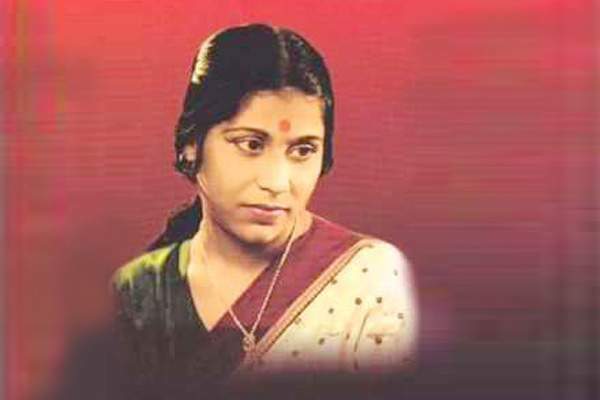 Many of her Bengali songs have retained their charm among the public through the decades. She also did playback for a number of Bengali and Hindi films. Among some of her famous songs are "Oi jhilmil jhauer boney", "Jaare jaa jaa mono paakhi", "Jhilmil jhilmil opaarero monjil" and "Du chokhey aashaar nodi chhalachhal". West Bengal Chief Minister Mamata Banerjee condoled Chowdhury's demise. "Saddened at the passing of popular singer Sabita Chowdhury. My condolences to her family, friends and fans," Banerjee twitted. Sabita Chowdhury's body would be kept at Rabindra Sadan for people pay their last respects before last rites.